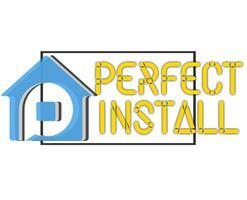 Perfect Install Ltd - Bathrooms, Bedrooms, Glass, Kitchens based in Watford, Hertfordshire. A young company with founding members that have huge experience in glass and building industry. Cumulative experience 10+years, specialists in splashbacks, worktops and glass balustrades. We are subcontracted by professional company's for our skills with 20 + jobs per week and we are looking to extend our range in the private or business sites. Services and products: Glass Balustrades - Frameless, Stainless Steel framed, Wood framed and much more. Glass Splashback - Clear, plain colours with sparkle, printed, our range is huge and we provide the best prices. Supplied from our trade companies with long warranty and best prices. Whether you are thinking of a loft conversion, an extension or a new kitchen, making significant improvements to your home and garden or smaller projects like painting a room or adding some tiles will require detailed planning and research. Why don't you leave that to us? We will guide you through everything about making your home in to your dream home with the help of our professional crew. Having multinational experience in our team we will give you ideas that apply in the UK and EU houses. You will be our main point of focus, so your plans have to reach perfection with us. contacting us about info or quotations.